Digital Farming: How Digital Technology is helping agricultural sector? How Digital technology is helping the agricultural sector? When it comes to how digital technology is helping the agricultural sector, nowhere is the shift more evident than in Africa. Everyone knows the basic facts about Africa; especially that farm productivity needs to grow at a higher rate than the global average in order to prevent mass hunger. Currently, farm productivity is low, fallow periods are shorter, and farm communities are losing young people to rural-urban migration. Despite the African governments having used many policy instruments so far, farm yields improved only marginally. A considerable proportion of farmers still use traditional processes that depend heavily on historical norms – the hoes and cutlasses that haven’t been redesigned for centuries. Some farming communities in Nigeria, like the Igbos, for example, continue to plant in accordance with the waxing and waning of the moon, and attribute their yields and harvests to the Gods, rather than to their own methods. While there were a few bold farmers who did try to use new technologies, they were at the risk of running into losses. This is because many foreign-made technologies are not as user friendly to farmers in Africa, who control smaller pieces of land than farmers in developed countries. Adding to that, commercial lending in agriculture in Africa is as marginal as 1%, making it difficult for farmers to afford such equipment. But all this is about to change because there are more players in the market today offering digital services that aid agriculture. There are start-up entrepreneurs and also local enterprises closer home who can deliver solutions to small farmers at a cost that they can afford. Adding momentum to this trend is the fact that the barrier of entry into farming technology has dropped, as digital tools like cloud computing systems, connectivity, open-source software and other digital tools are now affordable. There are other, slightly more complex technologies too. For example, aerial images from satellites or drones, weather forecasts, and soil sensors are makes it possible to manage crop growth in real time. Automated systems are available to provide early warnings in case of deviations from normal growth. There are also other start-up ventures like Zenvus, that deals with precision farming, with the facility to measure and analyse soil data like temperature, nutrients and vegetative health to help farmers apply the right fertilizer and irrigate their farms optimally. The process reduces input waste, thus automatically improving farm productivity. Such analytics can easily be used by small-scale farmers. Ujuzi Kilimo, a Kenyan startup, uses big data and analytic capabilities with the goal of transforming farmers into a knowledge-based community, using precision insights. All of this access to technology has made farming a more exciting option for young people, who are increasingly viewing it as a business. The bottom line in precision agriculture is also about cutting food waste. The impact will be highest when the food that is ultimately produced is used effectively through the best preservation and storage methods. Having food safety systems and facility to track supply chains will also boost the overall value of the sector. There is optimism in the agriculture sector in Africa, where the maximum of its citizens are employed, that extreme hunger can be cured. Let’s take a look at some more digital applications that are being used in Africa. In the northern region of Ghana, an initiative delivers tailored climate information services to farmers. Up to 1000 farmers (33% of which are women) are now accessing this information and applying it in their farm management, and in other livelihood-based activities. A recent survey revealed that 97% of farmers are willing to pay for access to climate information. The key users include individual farmers and traders, farmers’ associations, agri-business, and public sector organisations like national agricultural ministries. Another online platform provides buy and sell offers, details of agricultural input and crop prices, extension messages, locations where seeds and fertilizers are available, as well as other information. Users can easily access this content on the internet and on their mobile phones. They can choose from a range of applications and create a personalized interface. They can even opt for specific information only, such as market prices. Another mobile phone-based service that can predict rain is helping farmers in six Sub-Saharan Africa countries sow, fertilise and harvest crops at the right time. This innovation is being used in Cote d’Ivoire, Ghana, Niger, Nigeria and Senegal to improve crop yields and optimize food production. This ICT model produces GPS-specific forecasts. A cocoa farmer in Ghana, Enoch Addo, says that with the aid of these forecasts, he was able to more than double his yield of cocoa. There are more than 80,000 such users who subscribe to the service ever since it went live. Policies that can support such investments have the potential to bring about a big change on how farming is conducted and managed on the African continent. In turn, the African government too can benefit from the increased incomes of farmers, provided they invest in such technology first. 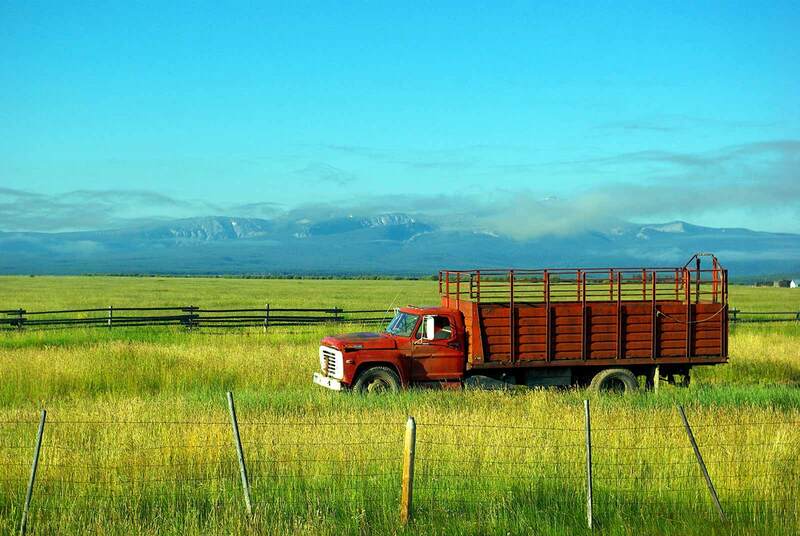 When it comes to large farms, success in derived from four major factors: growing as much per acre of land as possible, reducing the risk of failure, minimizing operational costs and selling the crops at the best price. This demands effective management of input resources like fertilizer, water and seed quality, and minimizing the impact of unpredictable variables (such as weather and pests). The skill to be developed here is about translating available data into action. 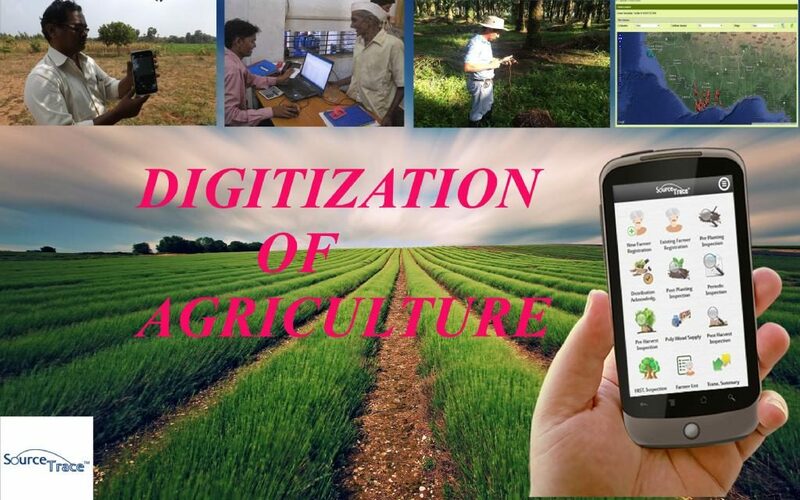 Ultimately, digital agriculture is all about “ICT and data ecosystems that support the development and delivery of timely, targeted information and services to make farming profitable and sustainable while delivering safe, nutritious and affordable food of all”, according to a paper published by ICRISAT. Provide your details below and check our software.